The ads on this site tend to screw the formatting up a bit and make your visit less pleasant. But we pay for the ads to be removed for members so why not sign up and have a better viewing experience? Go on....Sign up. There's no messing about, it's a 20 second job! Bryan said he wanted to go to Fulham because he liked the way they play football. It was clearly wages and PL vs Championship and you can't blame him for that but I kind of like the subtle dig at Bruce's football style! A sly dig at Bruce's football style? Is that the style that failed to lose to Bristol City home or away last season and actually dismantled and ended them at Villa Park? Crack on Joe. With the players we had my three-year-old son could pluck a name out of the hat for each position for a starting 11, stand in the dugout, have a chat with the players at halftime, not make any substitutions (or pull names from a hat) or change anything to affect the game and do as well as Bruce did last season. It's quite possible the bunch of players could have a chat before each game and work out how best to play. I can guarantee neither Hogan nor Kodjia would want to be playing aerial hit-and-hope. Ok, that was a bit harsh. I do think Bruce is good at a lot of stuff, just not his style of football or changing a game once it's underway - with tactics, substitutions and positions of players. Hull's team cost a fraction of ours but put on a much better show the other day with play that was very easy on the eye. With a bit more work on their defence and the strikers' heads in gear they could well end up punching well above their weight. We have the attacking players to make that style of play work, especially with Grealish orchestrating it all, and look great when we do get players forward but so often we give the ball away and knacker out our striker chasing shadows. Ignoring how much money or which league are involved, if as a defender you could choose between a team that's on the defensive all the time or one that plays free-flowing attacking football what would you do? @FoxyAV wrote: Bryan said he wanted to go to Fulham because he liked the way they play football. It was clearly wages and PL vs Championship and you can't blame him for that but I kind of like the subtle dig at Bruce's football style! I like the story suggesting we could take Shane Long on loan. That's the Shane Long who back in 2011 while playing for the Baggies fouled Hutton in revenge for an earlier foul, and then Hutton finished the job and put Long out for months. The Shane Long who always ups his game when playing against us. I'd love him on loan but can't see it ever happening (see Gary Gardner going to Blues...). We are being linked with so many atm that I'm sort of not following too closely on purpose as it's doing my head in. I really hope we get some good loans in but this hour by hour stuff is too frantic for me. Sam Gallagher would be a good loan as we need a physical presence up front especially in this league. I was at Wet Spam today watching them collapse to Bournemouth and Snoddy played the first half and into the second. He looked nice and sharp and played some good football albeit on the right of the middle row in a 4-3-3. It looks like he's staying there this season. Carlos Sanchez came on in the second half and kept passing it sideways. It's good to know he learnt something at Villa. Matt Targett too, I’ve read, let’s hope we get a decent LB, who was the last good LB we had, Alan Wright ? @VillaBill wrote: Matt Targett too, I’ve read, let’s hope we get a decent LB, who was the last good LB we had, Alan Wright ? Can he play right back, as we are a bit short in that position? Can't keep up with this one, first he's a wanted man then it's a no-go as he won't leave the Prem now he's having talks with us....madness. Think this one could be risky, potentially far too good for the championship if in the right frame of mind! McCormack still pisses me off, don't think I could stand another. IF we secure Bolasie and Targett then I would say we have better players this season than we did last. Granted it might take a few games for Bolasie to get back into his stride but he is, arguably, a better player than Snodgrass. A CB I would have thought must surely be on our wanted list but I’ve seen nothing linking us anywhere? Then I think it’s between Abraham and that lad from Watford for striker? @Dazzle wrote: IF we secure Bolasie and Targett then I would say we have better players this season than we did last. Granted it might take a few games for Bolasie to get back into his stride but he is, arguably, a better player than Snodgrass. A CB I would have thought must surely be on our wanted list but I’ve seen nothing linking us anywhere? Then I think it’s between Abraham and that lad from Watford for striker? Perhaps Bruce really thinks that Jedinak is the answer at CH! Bolasie would be an excellent signing if he could get anything like back to his best form... However according to L'Equipe we're in talks with Lille to sign Anwar El Ghazi, who's also a winger, would be surprised if we're getting both, considering we're only allowed five loans in a match day squad, and ideally we still need a defender, a striker, and a left-back. Bolasie and El Ghazi looking imminent now. Also looking like the Tammy abraham story isnt going away either. If they do both sign I'm thinking that's the final 2 nails in Albert's Villa coloured coffin. Remember when Uncle Alberts goals were keeping us in the running...? Hope Bolasie isn't too quick, we don't have players in the box even now at our pedestrian pace! I think that ends the Snodgrass rumours which is probably right although you can't knock his assists and goals from last season. Albert's a cracking player but I wonder if he'll stay in case of injury to Green or Bolasie? Oh, of course not, we have Elmo. That Bruce left the side last season unchanged (no matter how bad the players were) until a player was injured makes me worried that Jedi may stay at CB. It's madness to move Chester out of position to accommodate someone who just isn't good enough (Elphick) but when we have a CB ready and waiting and Bruce won't play him at CB it must be because he's not experienced or big enough. Old dog, new tricks. But then if Bruce places a premium on experienced heads and promotion experience then why play Jedi out of position at CB (especially when it's been proven he doesn't work there) when Elphick has the same experienced head and promotion experience and is at least a defender? I have a very left field suggestion: James Collins. Out of contract at West Ham, considered by my West Ham family to still be very good at his job and they're missing him there now. His contract expired at the end of June and they declined to renew it. Is 35 too old for a CB? I think James Collins would do an excellent job for a season to get us promotion, all depends on his terms though. Jump to: Select a forum||--The Bells are Ringing Villa Blog|--Main Forum| |--Villa Chat| |--Leisure Lounge| |--Off Topic| |--Procrastination Station| |--Other Sport| |--General Football Chat |--Other Football |--Howard's Way |--Competitions |--Remember That? 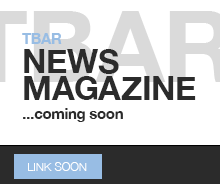 When this site officially opened on Friday 14th March 2014 its aims were to represent the culmination of ideas and passion; of ambition and foresight; of friendship, trust and accountability.The founders of “TBAR” had a vision that was put into action at the end of 2013. That vision was to bring about a sea change in the way Villa fans interact. That vision was to offer Villa fans a place to feel welcomed and valued. 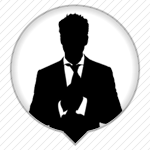 That vision was to be the best fans forum in the world. And that vision has become a reality. Our independence from external influences means that we are guided only by the people that post here. We are offering a platform upon which the fans of this proud football club can be heard. And it will be a platform built out of dignity, respect and fairness. We hope you have come to chat about the Villa. But we hope you’ll stay because you’ve found a new home.